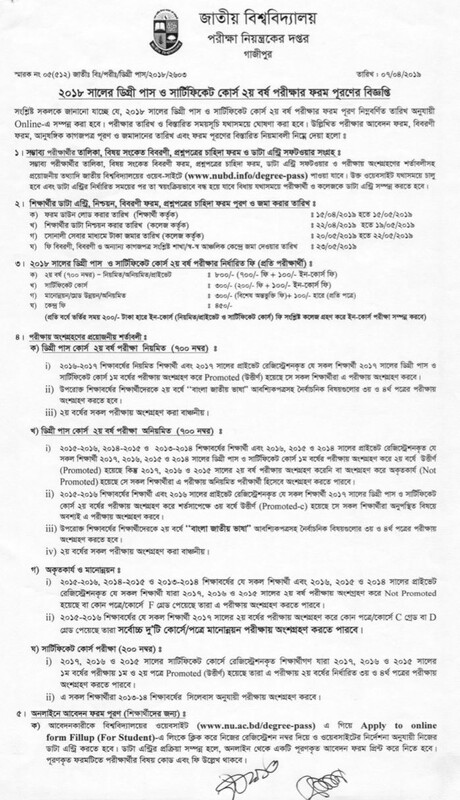 The National University of Bangladesh Degree passes course form fill-up Notice 2019 for the session of 2019 has published. The National University authority has noticed for form fill-up. Interested Applicants can apply online. Degree pass course 2nd-year Regular, Private, Subject Improve and Irregular Students can apply in this Notice But they must have under the term and condition of this Notice. Important Date and time table of Degree 2nd year form Fill-up Notice 2019. Online Application Start Date for Students: 15th April 2019. Last Date of Online Application: 15 May 2019.